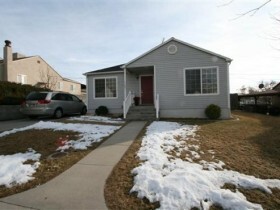 Do You Want to Get the Hot New Listings in Utah County? Our Exclusive Early Bird Buyer's Club saves you Time and Money. Simply enter your criteria below and get priority access to ALL Utah County homes that match your criteria, including Utah County Bank Foreclosures, Utah County Short Sales, Properties and other Distress Sales. No more wasted time looking at out-dated information in newspapers or searching outdated sites on the Internet. Priority access means you're there first before other buyers. This one-step-ahead approach enables you to negotiate the lowest possible price without wasting your time viewing homes that don't interest you. Just fill out this request and click the SUBMIT button at the bottom of the page to automatically become a Real Estate VIP Buyer with priority access to Utah County homes that match your criteria. If you would like to see the newest listings on the market today click the link below. Look for the link along the top of the page that says, "New Listings." This link will give you the option of selecting the amount of days to go back. It is set at a default of one day but can go back up to two weeks. Why Join the Early Bird Buyer's Club? The early bird buyer's club is a service that searches homes from any Utah Real Estate company on the MLS. If there are any new listings, open houses, or price reductions meeting your search criteria...making you the first to know about the new listings for sale in Utah County. Team Teasdale Realty puts you at an advantage in this competitive buyer's market. This information is the most current, complete and accurate since it's never more than 24 hours old and it's letting you know via email right away of any new opportunities. Save Searches: Save custom searches and receive email alerts when new properties match your search criteria, including new listings, price changes and sales. Our system allows you to view your searches and results at your convenience. Set Target Prices for Homes: Set target prices for active listings of interest and receive immediate email alerts when the price of the listing reaches or drops below your target price. Mobile Access: Access any of our Web sites from your phone's internet browser where you'll be directed to our mobile friendly site. You can view property details from the text messages sent from Team Teasdale Realty. QR Codes: Our website will automatically display QR Codes on all the Utah County homes. You can scan the QR Code and be immediately directed to the mobile version of our website to view photos, info and schedule showings. If you are looking to buy or sell a home in Utah County contact Paul Teasdale of Team Teasdale Realty. Paul has been selling homes in Utah County since 1995. Paul has sold over 1,100 homes in Utah County. Let Paul help you buy or sell a home.